The thought of investing used to seem completely exciting and totally unnerving, all at the same time. The truth was I just didn’t know where to start. Then when I did start I totally screwed up, buying penny stocks and losing the money that I put in. Yikes. Since then I’ve made some major changes in the way I invest. 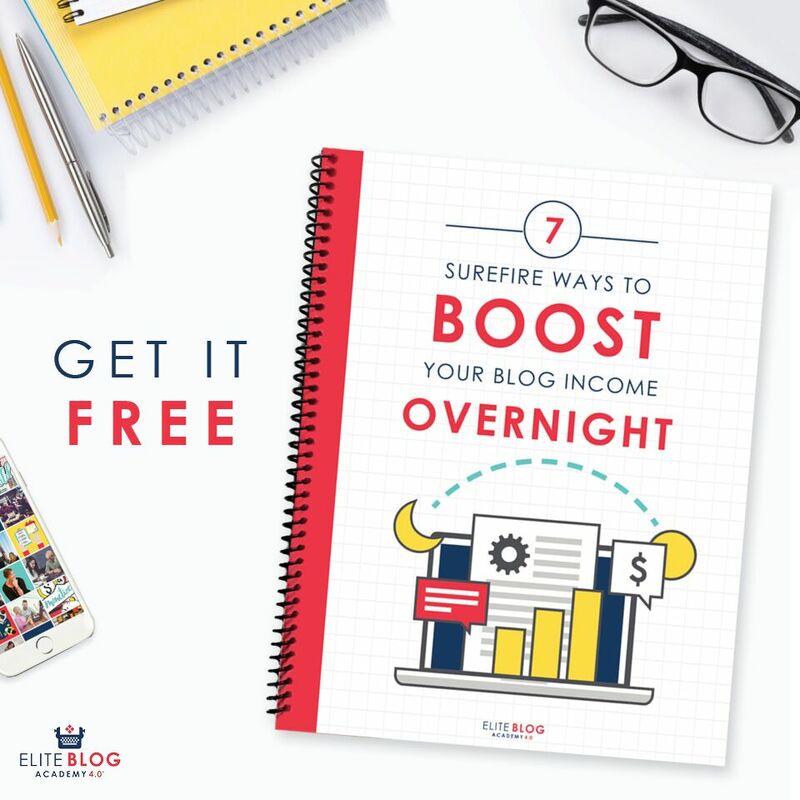 If you want to invest but don’t know where to start I promise that the things I show you in this post will be super simple! And as I keep hearing, keeping investments simple is the way to go. But I’m going to assume that most of you are like me – all of the day jobs you’ve had have never offered any benefits so you don’t have access to an employer sponsored retirement account. Or maybe you’re on the road to self-employment and need to save for your own retirement. If you fit in one of those two buckets, this post is for you!
. I love Betterment and just can’t say enough good things about them. Since I’ve been writing for The College Investor the past two years I’ve signed up with and reviewed several online investment platforms. No other company has even come close to my love for Betterment. Betterment is just so easy and foolproof – it’s hard not to like. Plus, I’ve actually earned money since using them rather than losing money by choosing stocks myself. Roth IRA – A ROTH IRA is a retirement account that is extremely popular because of its tax benefits. With a ROTH IRA you pay taxes on the money you put in now but you pay no taxes when you withdraw money during retirement. This account would be a good fit for you if you think you’ll be in a higher income tax bracket during retirement than you are now. (Which honestly doesn’t make a lot of sense to me.) My thinking is that during retirement I will be drawing out a lot less money than what I make now since my expenses will be lower and therefore I will be in a lower tax bracket. Obviously this will vary from person to person. For 2015 you can contribute up to $5,500 annually. Traditional IRA – A Traditional IRA is a tax deferred retirement account. This means that you pay NO taxes on the money you put in this account now. You instead pay taxes on the money when you withdraw it during retirement. This retirement account is what I use and will help you save on taxes now versus the future. – Betterment just added SEP IRA’s to their lineup. An SEP IRA is a simplified employee pension individual retirement account. It works just like a traditional IRA only you can contribute a lot more money. The SEP IRA is for business owners and is the perfect option for the self-employed person. With an SEP IRA you can contribute the lesser of 25% of your income or $53,000 for 2015. That’s a lot of money!! And since the SEP IRA works like a traditional IRA that’s a lot of money that you won’t have to pay taxes on the year contribute. Woohoo! Other Savings Account – You don’t have to open up a retirement account. You can save for anything you want in Betterment. Just open an account in the “other” sections, name your account, set your portfolio allocation, and you’re good to go! The next step is to take your risk assessment quiz. It’s a super quick quiz that gauges your risk level. Just honestly answer the questions and Betterment will show you your results. 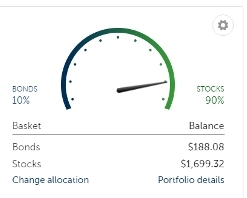 If you feel like the results they gave you were either too aggressive or not aggressive enough you can easily change your portfolio allocation by sliding the little lever on the graph. My results were fairly aggressive with 90% put into stocks and 10% put into bonds. Next, simply link up your bank account and deposit some money. You only have to deposit $10! With that low of amount there is no reason for you not to start your own retirement account. You can also set up monthly automatic contributions, which is not required but I highly recommend that you do. You can always go in and up your contributions at any time. I started by investing $100 per month, then upped it to $120 per month, now invest $150 per month, and I’ll probably up that here soon. I’ve been able to increase my contributions by slowly investing more money over time. This way I’m making progress without missing that extra money. You can do the same. After you deposit some money Betterment will automatically invest your money in low cost index funds. An index fund is just like a mutual fund – a diversified basket of assets, like stocks and bonds – only it can be traded on the stock exchange and generally speaking, comes with much lower fees. Remember when you’re investing for retirement you need to be worried about the long term. Short term fluctuations are going to happen and don’t really matter. 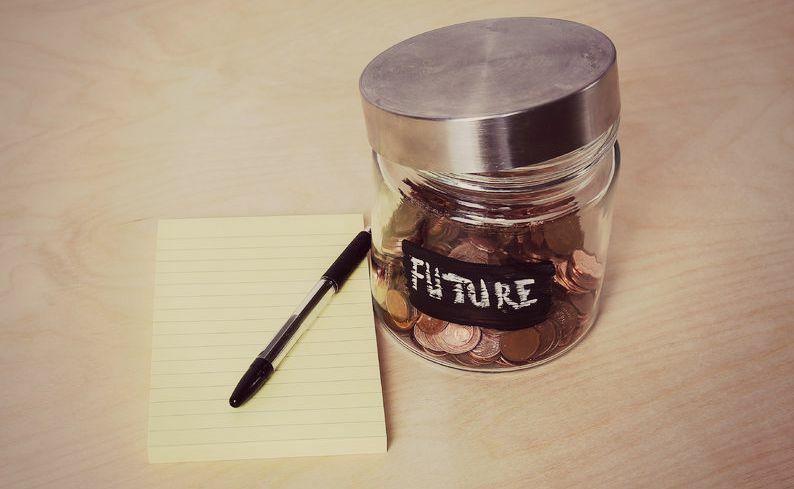 Since you (hopefully) put at least a small monthly auto deposit into your retirement account your investing plan is pretty much set it and forget except for when you want to go in and up your contributions or make one time investments. So just check in every few months and see how you’re doing! You can also change your portfolio allocation (the amount of stocks vs. bonds) any time you want. The fees Betterment charges are also extremely low at .15-.35% if you have a monthly auto deposit of $100 or more. If have do not have a monthly auto deposit of $100 or more and your balance is less than $10,000 you will be charged $3/month. I highly recommend that you put an auto-deposit of at least a $100/month so you can take advantage of the low fees. You can also get up to 6 months of service free if you sign up here. I heard of Loyal3 from a personal finance, investing obsessed freelance client. He really knows his stuff when it comes to investing and was super pumped up about Loyal3. That’s because Loyal3 is drastically different than other brokerages for one huge reason: they don’t charge any transactions fees! You see, normally when you buy a stock you have to pay anywhere from $7-$10 to buy and then another $7-$10 to sell. If you’re only investing $50 that $7 transaction fee is 14% of your investment. That’s nuts! If you’re wondering how they make money, according to their website they don’t. Or at least not yet. Instead of charging customers for transactions they’re looking into making money in different ways, like advertisements for example. If you’re more interested in buying individual stocks or if you want to do this in addition to having your retirement account, Loyal3 is the best way out there to get started. There is a small catch though. Loyal3 only has a certain group of stocks you can buy. They don’t offer everything but what they do offer is some of the biggest and most stable companies out there like Amazon, McDonalds, Google, and Coca-Cola. It appears that they are continuously offering new stocks so the selection may be much bigger in a year from now. Plus, this means you will totally not fall pretty to penny stocks like I did since all Loyal3 has is quality stocks 🙂 If you’re into researching stocks my friend Jeremy has a stock wizard you can find here that will you show you that important data you need to make a decision. Oh, I forgot to tell you the other amazing thing about Loyal3: You can buy a partial stock! That means if that stock you want costs $100/share but you don’t have that much you can invest as little as $10 if you want to! You can also set up automatic monthly contributions. I’ve been wanting to create a dividend portfolio, which is currently on my long term financial goal list. So I decided to use Loyal3 since I’m investing small amounts. A big part of Ryan’s investment strategy is dividend stocks. He looks for stocks with high yields and that have had a track record of increasing their dividend payouts every year for several years. I’ve always loved the idea of dividend stocks so I decided I’d copy his strategy on a small level. Here’s the walk through of buying one of these stocks. It’s super simple! Fill out your basic info. It’ll take you like 30 seconds. 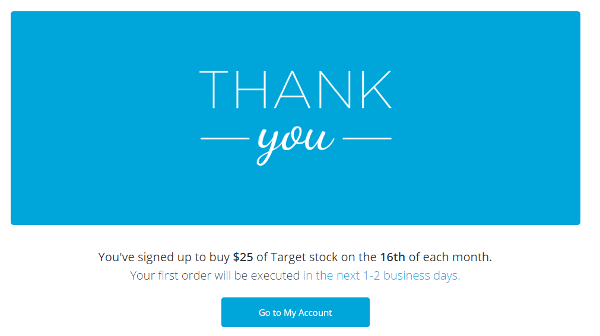 I entered $25 and selected the recurring monthly option. You can invest as little as $10 per stock and are able to choose from one-time purchases or recurring monthly purchases. The choice is yours! 4. Connect Your Bank Account and Invest! On the next screen you’ll enter a little personal information and connect your bank account. It took me about three minutes to do this. That’s all there is to it. If you want to buy some different stock simply repeat the process! I initially invested $25 per stock buying fractional shares and then opted to have another $25 automatically invested in each of these four stocks each month. I’ll now follow the same plan that I use with my retirement account – I’ll slowly increase my contribution every couple of months until I reach my goal amount. Now I’ve got a diversified dividend investing plan comprised of quality stocks. I may have only initially invested $100 but by doing my research, getting this setup, and automatically contributing on a monthly basis with plans to slowly up my contributions, I’m that much closer to where I want to be! 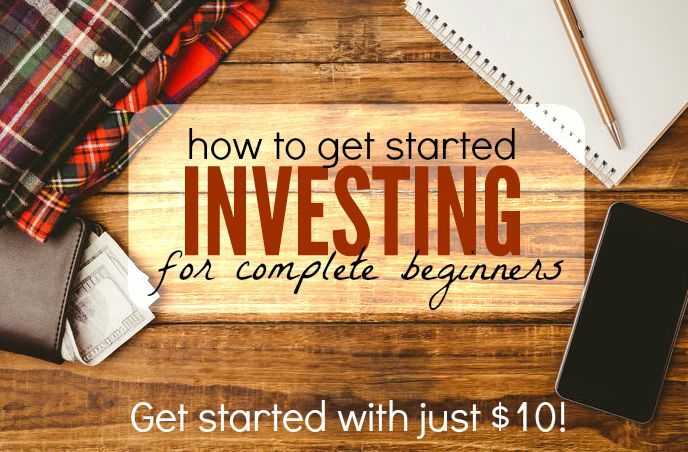 Whether you want to invest in individual stocks or set up your own retirement account both of these options only take $10 to start! That means there really is no excuse for you not to start investing for your future. And I’m telling you, just by setting up your accounts and adding a small amount you’re going to feel great about it. After all, you just took a step that got you a little closer to your goals! Do you have any questions about getting started investing? Lol. I promise it’s not a scam! I know it sounds to be good to be true but if you read about them they aren’t currently making any money. Their plans are to make money in a non-traditional way rather than charge transaction costs. Which is freaking awesome!! 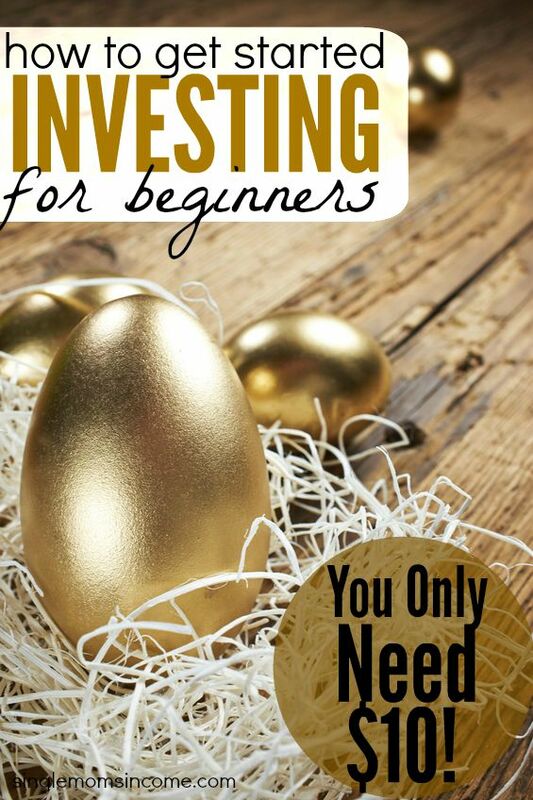 Especially for people like me who want to invest small amounts. The downside is they have less than 100 stocks to choose from 🙁 Hopefully that will grow soon. This is great info and I think your bottom line is absolutely right: just get started! Time is your friend when it comes to investing so there is no time like the present. Especially the present right now, with the markets going down down down. Good time to buy! I like both Betterment and Loyal3 (disclosure I am associated with their affiliate programs) though they operate very differently. Loyal3 is great for long-term stock investors who want to acquire stock over the long term. One of the catches that I will mention though is that your order is batched and processed with other customer orders; so you can’t enter a limit order and specify an exact price you are willing to pay like most brokerage firms offer (for a fee of course!). This set-up is not a big deal typically, esp. if you have a long time horizon. But you may not be able to snap up shares at a low price when the market is fluctuating a lot. Thanks for the more detailed explanation on Loyal3. I wasn’t aware of exactly how that worked but it makes total sense now 🙂 For me, it’s definitely still worth it since I can skip the transactions fees. I could not get to Loyal3 – I guess they must be out of business already. I see the post is old.